Cooke Fawcett Architects was set up in 2015, combining the significant experience of its two directors Oliver Cooke and Francis Fawcett whilst working at Stirling-prize winning practice Herzog & de Meuron Architects on major UK and international projects. 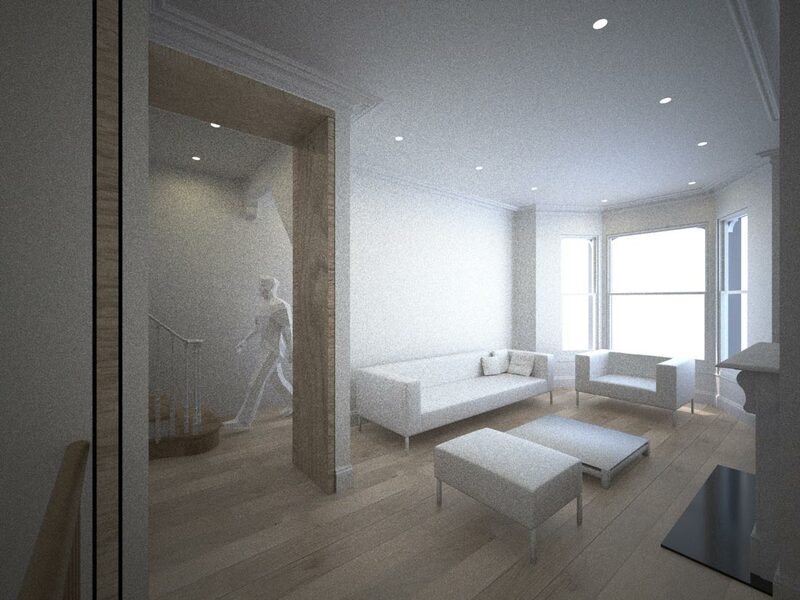 Direct commission for a new rear extension and full refurbishment of a substantial five bedroom Victorian terraced house on five floors in a conservation area in Brook Green. 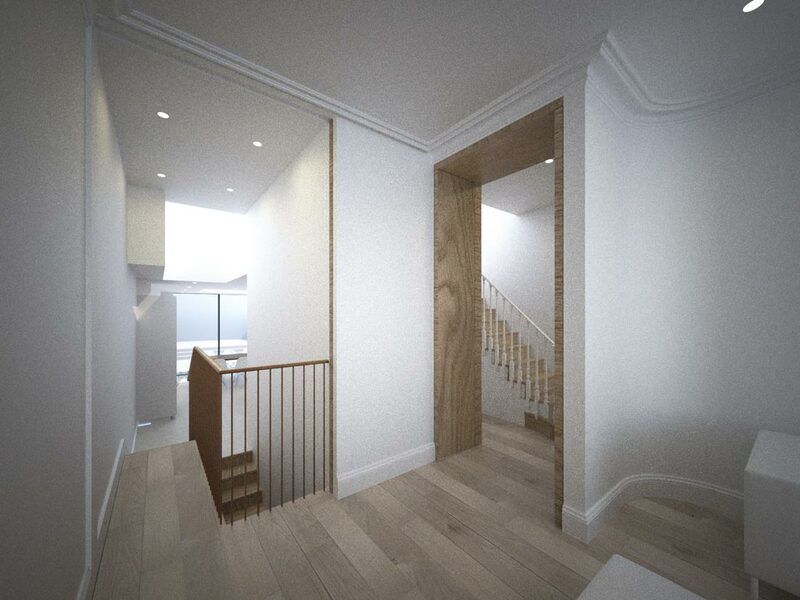 The ground floor is completely reorganised to provide a light, tall new rear extension, to open up the ground floor and provide new WC, and to improve the connection down to the basement with a new, relocated stair down. The new extension is made of reclaimed brick, with large rooflights in the ceiling to bring light into the depths of the floorplan. The first floor is completely reworked as a generous master suite with dressing room, and a new bedroom is introduced on the second floor. The top floor, already converted from loft, is consolidated into a large guest suite with large new windows, terrace and stair. Thermal performance is improved with new triple-glazed windows on the rear elevation, underfloor heating, and increased insulation. 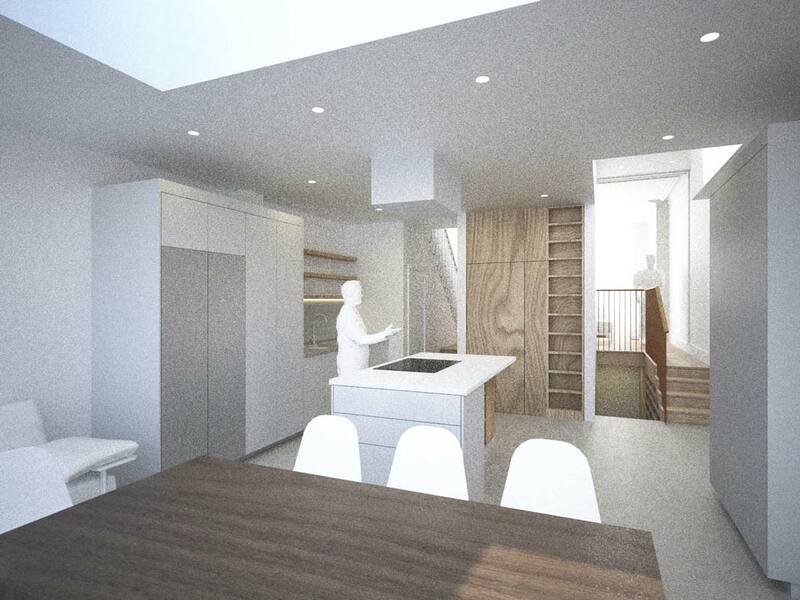 A high-quality and refined palette of materials is proposed, with light slate tiles and wide oak floorboards, brass balustrade, taps and switches, and oiled oak full-height separator doors to allow the open-plan ground floor to be closed off as required. 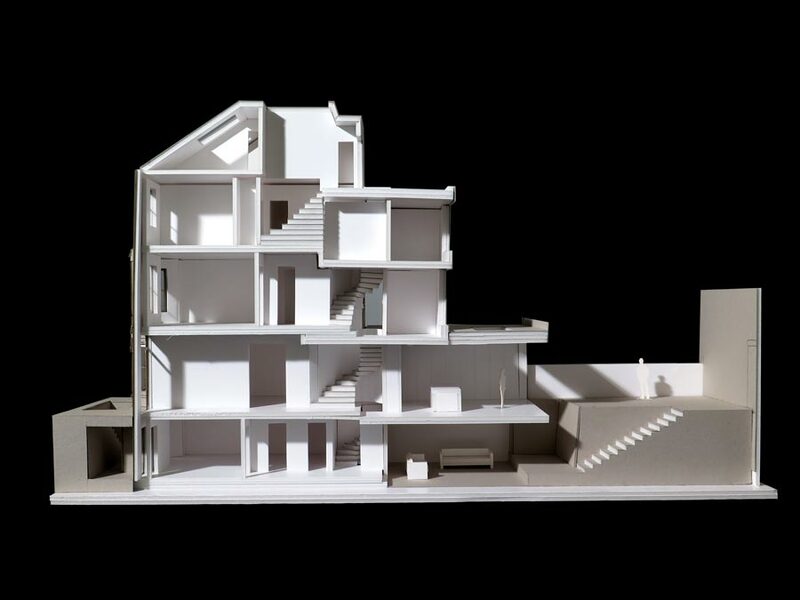 Planning consent was achieved to make a full basement, though this will be carried out in the future – so the design of the new floor slab is such that the new basement can be excavated and the floor can still carry the necessary structural loads.